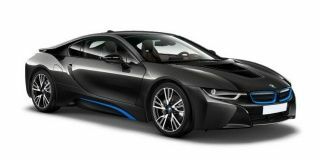 BMW i8 Roadster is the mid variant in the i8 lineup and is priced at Rs. 2.14 crore (ex-showroom, Delhi). This base variant comes with an engine putting out and of max power and max torque respectively. The gasoline motor comes mated to transmission which is quite a joy to use. BMW claims an average of kmpl for this mid Roadster variant. Share your experiences with i8? Q. Is it bullet proof car? Q. What's the fuel tank capacity? BMW i8 gets 42 liter fuel tank.